The Nokia EOS, aka Nokia codename Elvis, the Nokia superphone with a 41-megapixel PureView camera has leaked out once again and it’s obviously close to getting official soon. 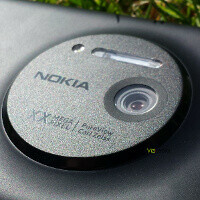 In this image, the Nokia EOS lies right next to a Nokia Lumia 920 and it’s hard to tell the difference between the two. Up front the design is eerily similar, but looking at the shadow you can definitely tell the device on the right has a larger camera bump and that should be the EOS. It also obviously features the new Glance Screen feature allowing you to always see basic information like the time and whether or not you have missed calls or notifications. Captures a 35MP image and a 5MP one at the same time. The latter is lighter and suitable for social network sharing. Looking good! BTW, is the an Android app that does similarly, capture a full photo then a custom sized? I would prefer this rather than the Galaxy S4 zoom. better than the S4 zoom, but still ugly. ugly ??? u r looking at an industry award winning design... the fabula design .....it was named the most beautiful product in 2012(the 800/n9 was awarded the title but they share the same design with the 920/eos) and frankly......this is far from ugly! Look at the placement of the front facing camera. 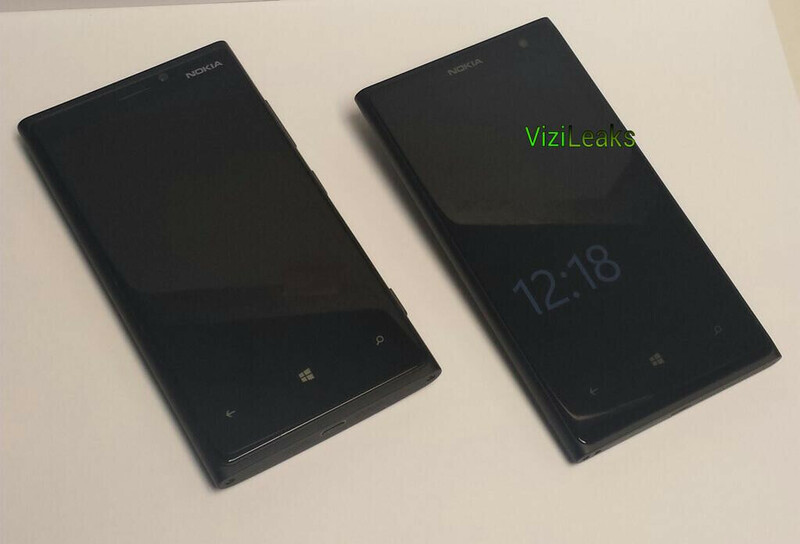 The one on the left is a 920, on the right is (presumably) EOS/Elvis. My proximity sensor hasn't had any issues since I got the phone, but there is a ton of dust in my front facing camera... Luckily, I haven't had any use for it. Lol he is the troll, your the person who compulsively loves everything Nokia ever do! you've got some problem with it, kiddo? I support Nokia and so what? You love samsung no matter what even though they've recently became the biggest thieves in the industry. if you have nothing to say in Nokia's articles, why bother coming in and spreading such bull$%^? ...and if you're one of those who can't hold a 150g in your hand....well, I fell sorry for you. I too, used to support Nokia. Till i took a WP7 to the knee... SYMBIAN FTW~!! Eww. WP7 was a bit of a letdown... talk about outdated hardware.